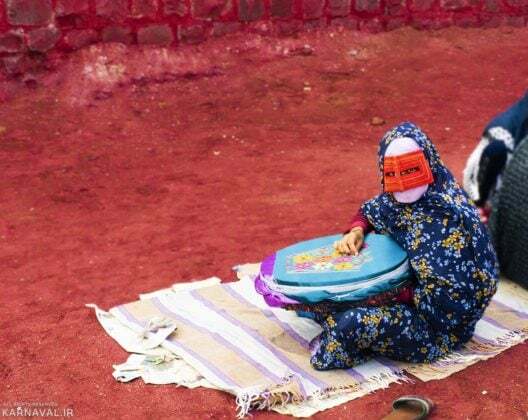 In many images and designs of the centuries before the advent of Islam and afterwards, Iranian men and women have observed Hijab and maintained their dignity by covering their heads and their body. 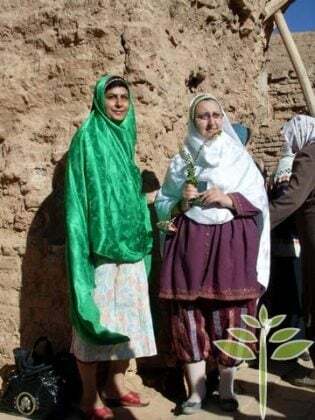 Therefore, one can say the Iranian culture and civilisation is different from other cultures including that of Greece, in which men and women were occasionally bare or not covering their bodies fully. 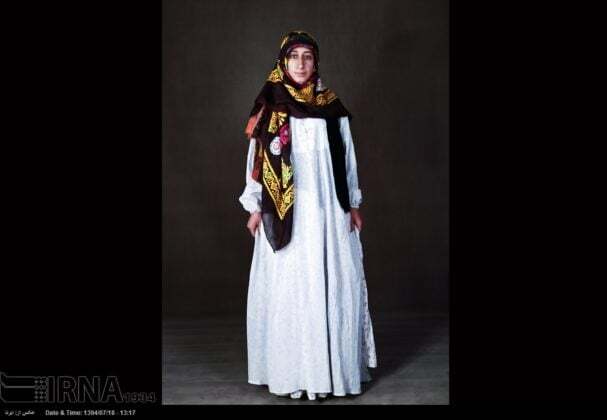 The Iranian historical trend shows that the majority of people, including men and women, tended to put on more covered clothes than other societies. 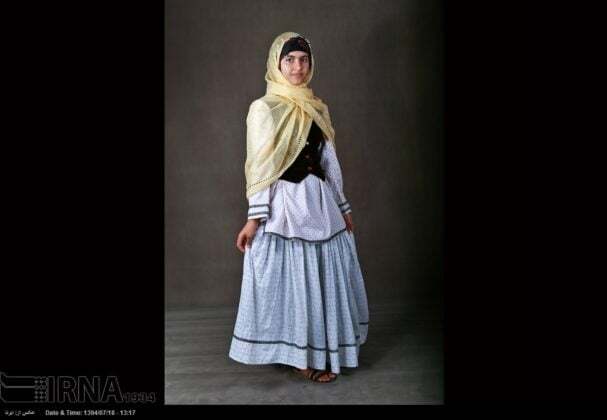 “In the same ancient Iran, when Alexander the Great and later the Seleucids entered Iran, their culture was not the same as those of the Iranians regarding their clothes. 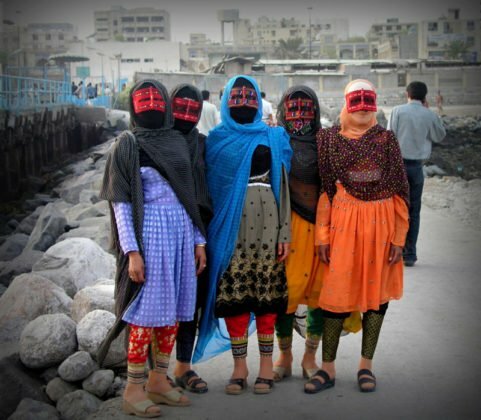 In another word, they were not observing Hijab, but the Iranian society did not accept them,” he said. 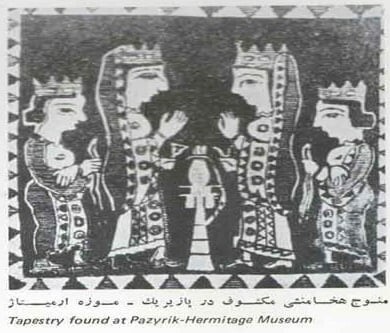 Another important event against hijab in Iran was the removing of hijab by Reza Khan. 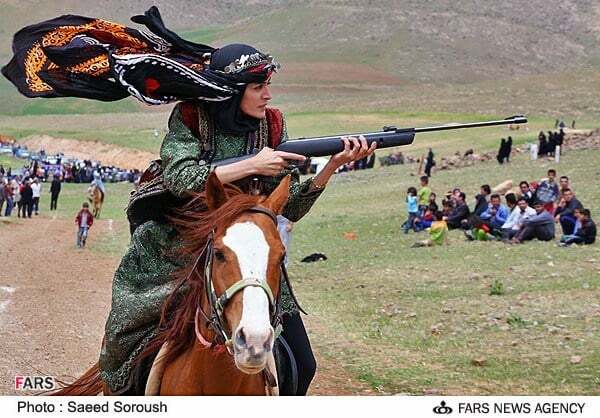 It was a very clear example of tyranny and modernisation of the Iranian society by force of guns and bayonets. 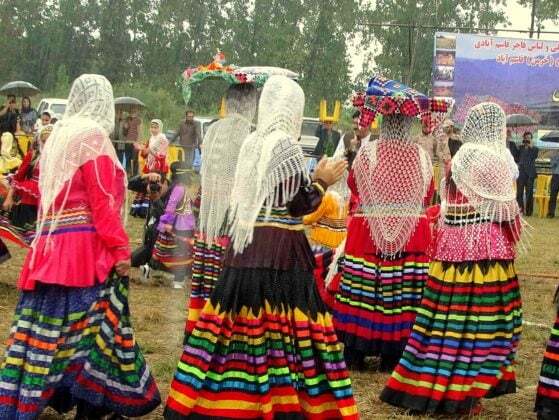 This move, despite the great efforts of the Pahlavi regime, who used all the country’s facilities to ban hijab, failed to be accepted by the majority of the society and was defeated by the power of culture. 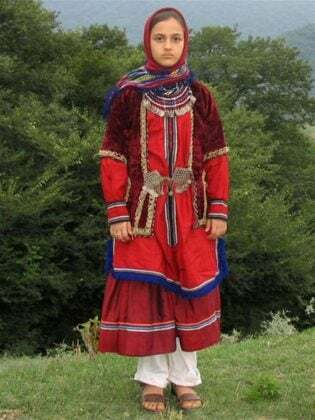 Part of this culture has its roots in the culture of Iranian tribes and their wearing-style that dates back hundreds of years. 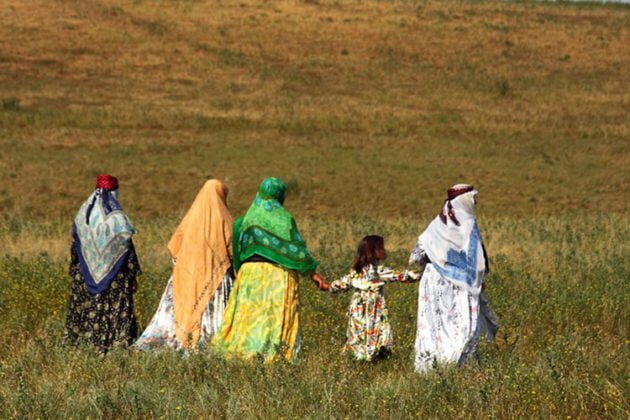 Ethnic groups living in different parts of Iran are climatically and geographically affected by the weather and the biological conditions of the region, and most importantly by the religious, and cultural aspects of each nation. 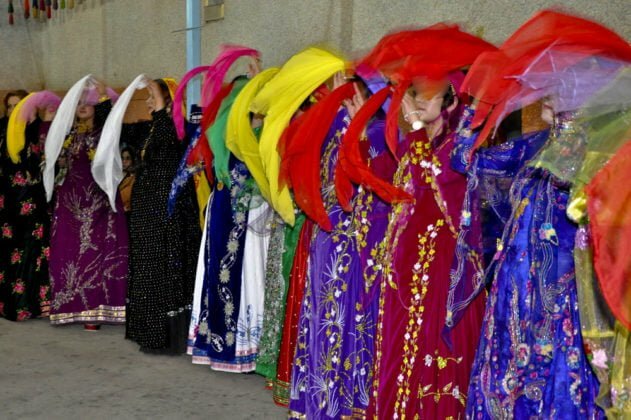 Sometimes through this wear, you can understand the cultural components of each region. 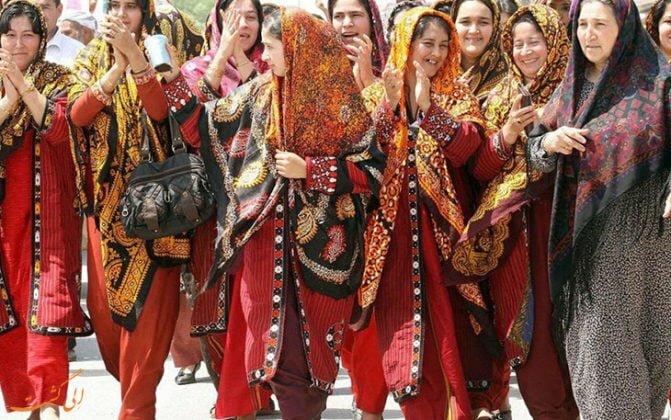 The identity of the local clothing of the people is inextricably linked with the beliefs of the people and is part of the cultural attraction. 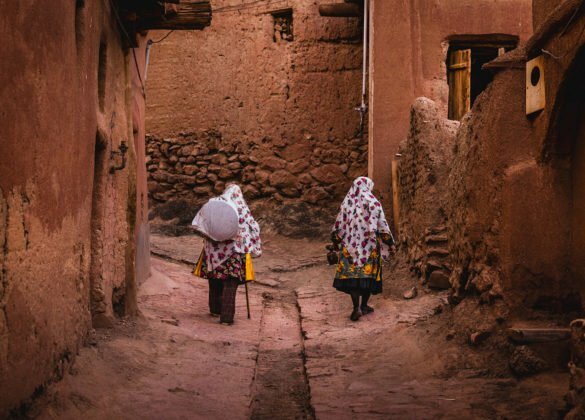 Following, we take a look at the wearing style of different ethnic groups in Iran; an original wear that has been worn by Iranians for centuries, each of which has a world of colours and designs. 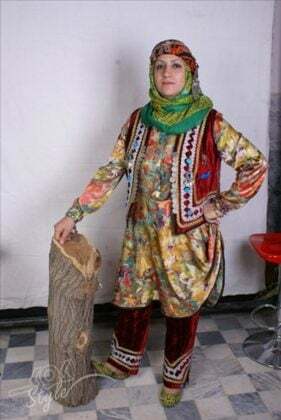 The local costume of Abyaneh village in Isfahan province dates back to 1,500 years ago. 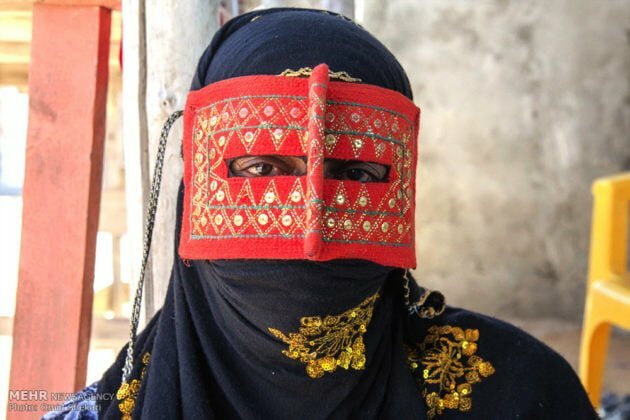 The villagers are very committed to wearing their local clothes. 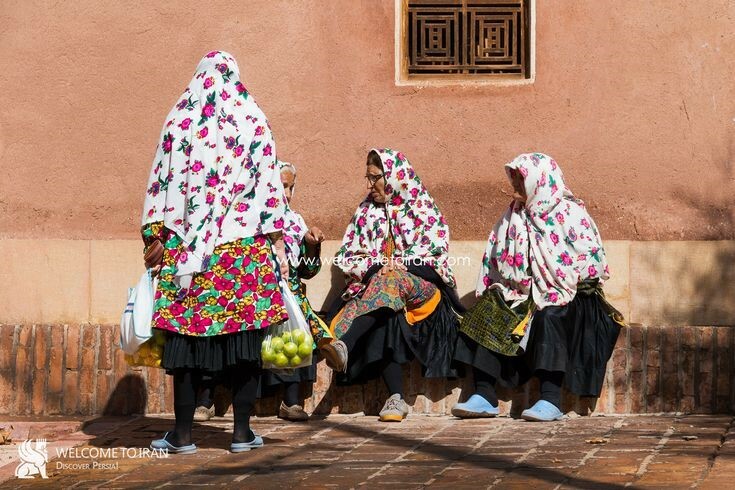 The most important thing about Abyaneh garments is the use of bright colours originating from the colourful nature of the area. 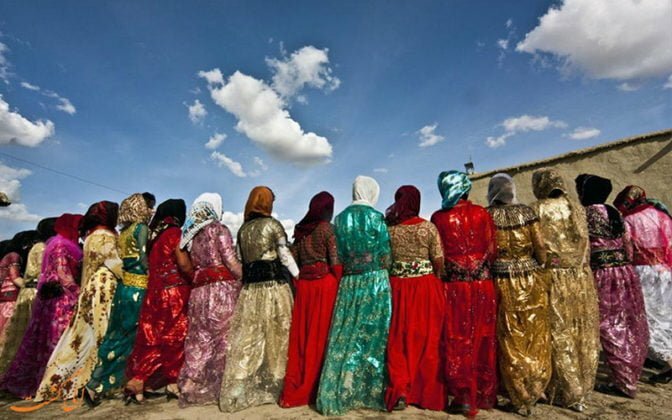 Ladies’ wear in Shahsavan tribe in Ardabil province consists of nine pieces, and nomadic women always put all of these nine pieces on. 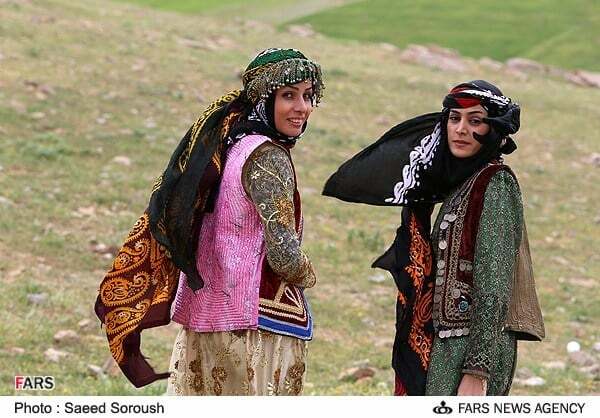 Azarbaijani clothes have different types because of the inclusion of two Azari and Kurdish tribes, as well as numerous tribes and ethnic groups. 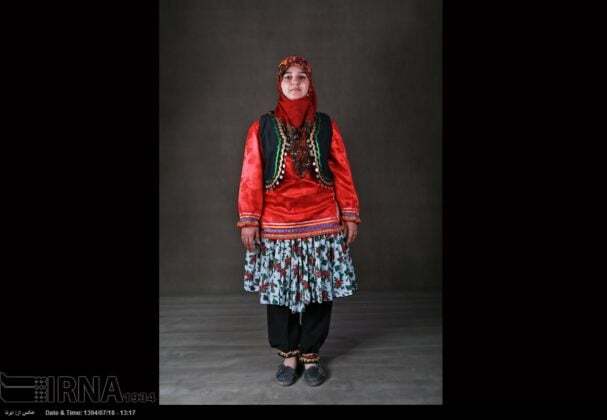 The original uniform of Turkmen women is a long silk gown called “Don” that reaches the knees. 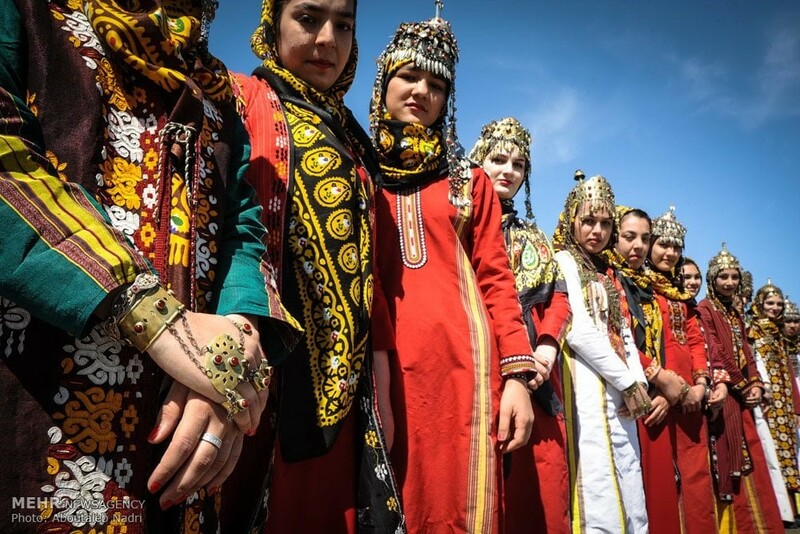 Since the ancient times, Qizilbash women in Iran’s Golestan Province have been wearing clothes ornamented with coins and red silk. 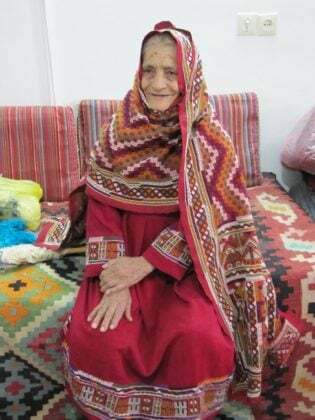 The costume of the people of Semnan is a symbol of the originality and simplicity of people living in deserts. 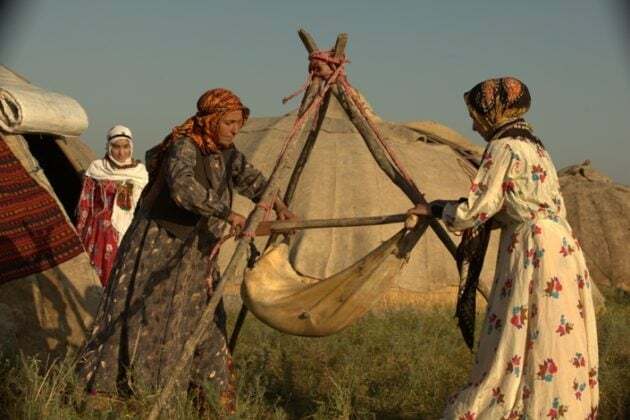 Their clothes are usually woven with goat’s hair. 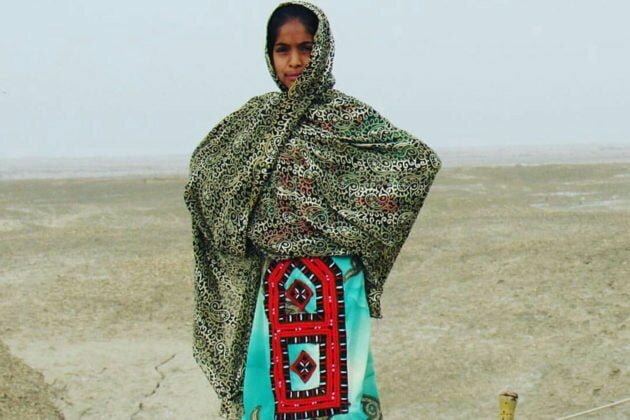 Women’s clothing in Sistan and Baluchestan is composed of a loose dress and trousers, which is designed by needlework in the collar and sleeves. 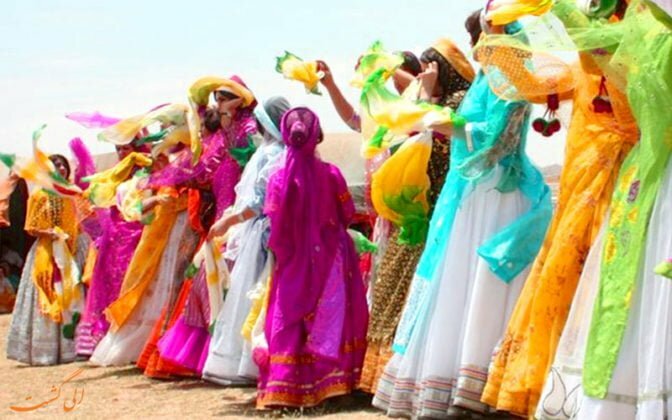 Gilani women are known for their long colourful skirts. 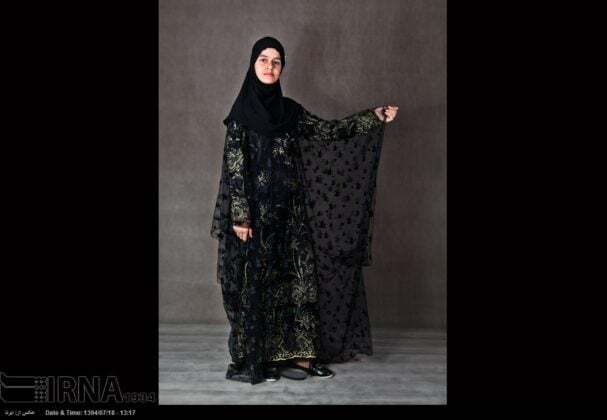 They wear it along with a blouse and a vest. 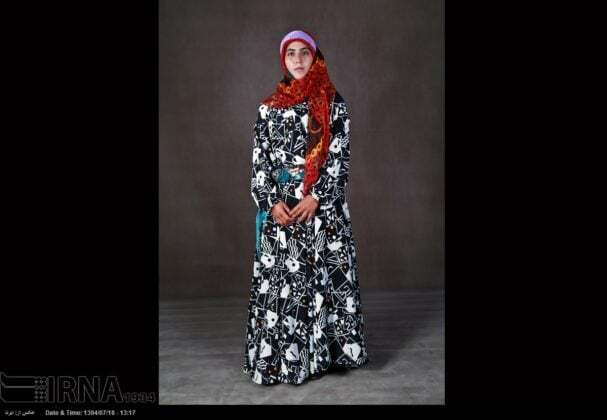 Lur women’s clothing are designed with colourful fabrics and beautiful designs. 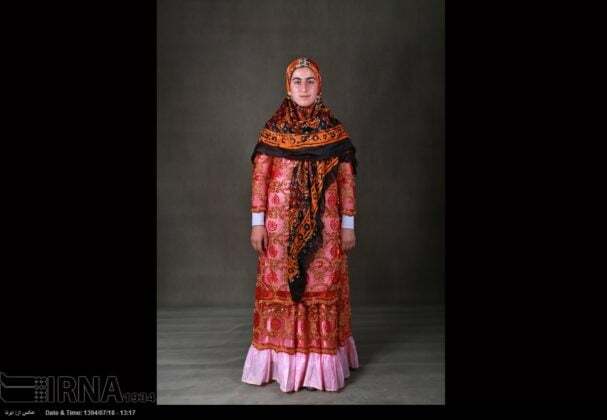 Bakhtiari ladies’ clothing includes shirt, scarf and a footwear. 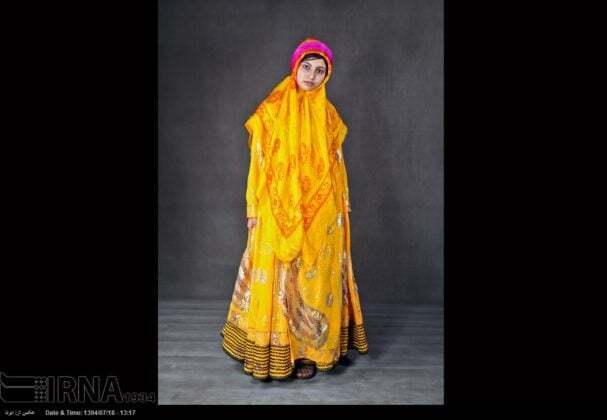 8 to 10 metres of cloth is used in their outfit. 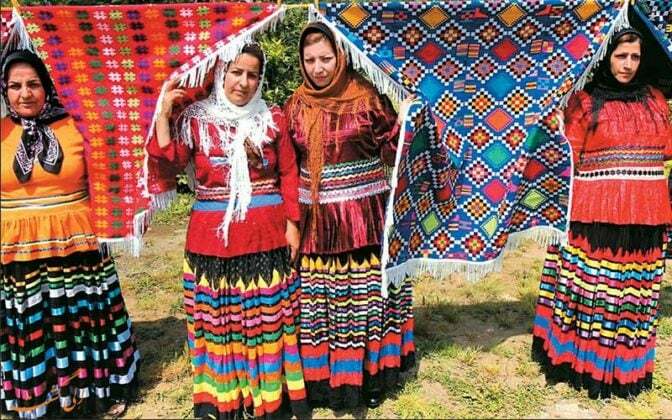 Traditional garments were colourful in Mazandaran province. 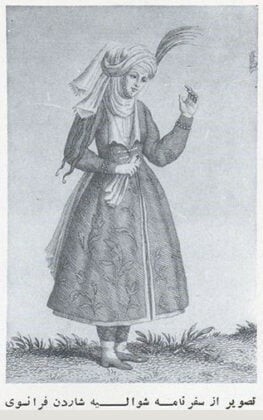 Of course, today women do not wear such clothes very much. 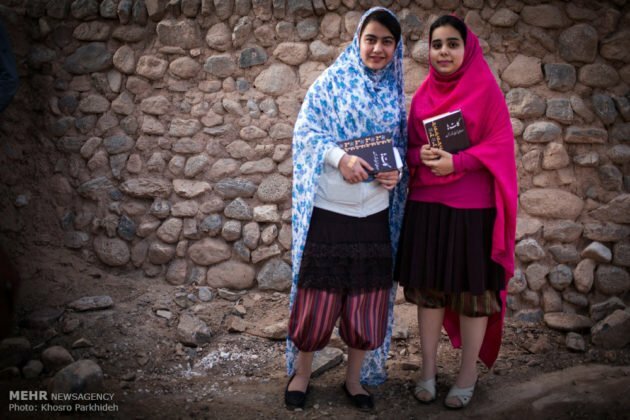 Hormozgan is a province of Iran in which no particular kind of clothes is worn. 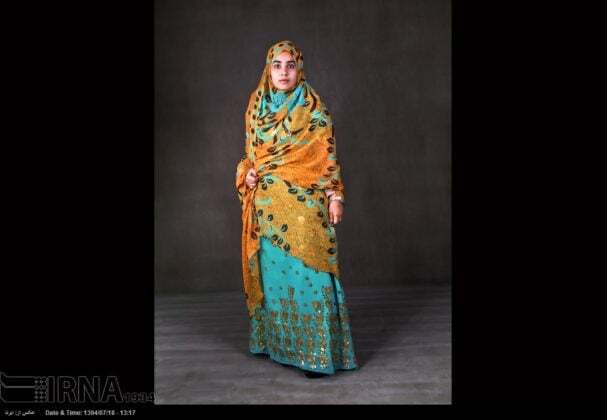 Their garments include a dress, scarf and jewelries.